At Lifetime Financial Growth, we work with small businesses with anywhere between one and two hundred employees. Regardless of their industry or company size, many are faced with similar concerns - effectively managing their business’ financial strategies and developing opportunities that benefit both the employer and employees. It’s important for a business owner to have a plan for exiting their business, whether it’s selling, going public, or transferring it to a family member. However, many business owners are so caught up in the current needs of their business that they haven’t thought about the future. We create a comprehensive exit strategy that helps the client ensure they have a plan for the unexpected, whether it’s a financial hardship or death. As a business owner, understanding the value of your business is essential. It is perhaps the key ingredient when aiming to undertake a host of strategic activities and decisions. Business leaders armed with valuation knowledge are better positioned to secure financing, ensure proper credit and risk management, attract and retain talent, sell a business for full market value, cultivate high-impact partnerships, and pursue growth initiatives. We utilize the latest technology and a 7-step process to determine the value of your business. Once the assessment is complete, you will receive a 28 page report on the current value of your business. 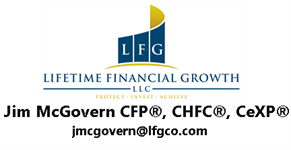 We help clients determine appropriate 401(k) or 403(b) retirement plans, as well as profit sharing plans; cash balance plans; Roth, SIMPLE, and SEP IRAs; pension plans; and ESOPs (Employee Stock Option Plans). We can also assist with nonqualified plans, connecting them with the business’ other qualified retirement plans to create the most appropriate comprehensive solutions. A succession plan is a critical element of a business owner’s exit planning strategy. We can help clients formalize their succession objectives and future goals and refer them to CPAs and attorneys for further assistance. We evaluate the design of different benefits packages to achieve the best pricing structure and advice on implementing such options as cafeteria plans that allow for employee cost-sharing through tax deductible contributions. Additionally, we administer the benefits program, assisting employers with the claims filing procedure.